Put your finger on the pulse of Europe´s beating heart on a memorable tour through Italy, Switzerland and France. From ancient wonders on the bustling streets of Rome, to high fashion in Copenhagen, traditional folklore in Norway and magnificent scenery tours in Sweden - Continue and truly captures the spoils of Europe. Travel through the charming hillside villages of Denmark, Get close to Shekespeare at Kronborg Castle - Hamlet´s castle in Elsinore and fall in love with romantic Paris - discover the Northern Lights where the sun never goes down in Greenland, - each day in Europe brings a fascinating new discovery. Europe is known for the world´s top food Mecca and you will find the very best restaurants in Europe. 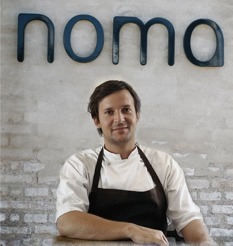 Noma has been voted world´s best restaurant for several years, and noma is located in Denmark. French and Italian cuisine also ranks among the world´s best. If you like snow or beach, Great architecture and magnificent scenery. Europe has it all from south to north. The world´s best wines come from vineyards in France, Portugal, Spain, Italy. It is impossible for anyone to imagine visiting Europe only once, but even if you could imagine that, and assuming eating was what you wanted to do most, we could recommend Denmark or France. Just one country, though, if you truly want to immerse yourselves. 10-14 days goes by in the blink of an eye. If you´re more advanced, you will never forget the northern lights and Greenland where the sun never sets. Choose a country to explore on the map below. Europe is open to everyone. With shengen breaking down many borders that have stood for centuries and equal opportunities regulations to ensure public places are welcoming and accessible your next vacation couldn't be more enjoyable. Six major European railway companies (from Austria, Switzerland, Germany, Belgium and the Netherlands) set up a partnership in 2006, known as Rail Team. The objective of this alliance is to become an alternative to airline alliances for passenger transportation. For art, architecture, beautiful cities, top-class museums and galleries, Europe has it all, and all of it is accessible and fun. There is always something to do and something wonderful to see. For example, crossing into the Dolomites via the Brenner Pass is a vacation for the senses. In summer, colourful flower blossoms carpet the meadows. Travellers on foot behold the ancient limestone peaks as they stroll past farmhouses, tiny villages, and onion-domed churches. Le Corbusier called the Dolomites "the most beautiful architecture in the world." Denmark is situated in Northern Europe between the North Sea and the Baltic, and is the only Scandinavian country connected to the European mainland. All in all, Denmark consists of 406 islands, yet only about 80 of these are inhabited. The most densely populated part of Denmark is the main island, Zealand. The capital, Copenhagen, is situated at the far east of Zealand and the city itself counts about half a million inhabitants, while if including the suburbs the number reaches one million. Having a well-developed welfare and health care system, the Danes tend to live longer than they did just decades ago. The average age is now just around 75 years for men and 79 years for women. Most people work until they are well into their sixties and Denmark is characterised by having a very little gap between those who are rich and those who are poor, placing most Danes in a large and thriving middle and upper-middle class. Find out more about Danish culture and history in the Where to Go section. Copenhagen restaurant Noma has been named The best Michelin restaurant in the world. It s The S. Pellegrino World s 50 Best Restaurants behind the crowning of restaurant Noma in the past year has been very successful to specialize in Nordic cuisine. Denmark dominates so much the gastronomic world elite. Rasmus Kofoed from Geranium was recently voted the world's best chef, Noma has been voted the world's best restaurant, and by all accounts is Noma also the first Scandinavian restaurant boasts three Michelin stars, when the famous guide for 2011 published the vote. While gastronomes previously traveled to France and Italy to study the latest trends in the finer cuisine, Denmark has been the place where the world's best chefs inspired. Ideal for fishing, swimming, windsurfing, sailing, canoeing, and yachting, has long attracted writers and thinkers. Goethe, Thomas Mann, and Sigmund Freud all holidayed here. The city of Bolzano, ringed by ancient castles, offers insights into the Dolomites rich history as well as its sophisticated pleasures. An ancient trading town once overseen by Tyrolean archduchess Claudia de Medici, it is today distinguished by its elegant shopping streets, gourmet shops, and colourful markets. While Italians visit it to "go abroad," northerners come to enjoy its Mediterranean climate. Inspired by the fragrant orchards and lush vineyards of the city north of Bolzano, Kafka wrote: "Merano is the most beautiful landscape I have ever seen -- unforgettable, freer, broader, grander; the air is clearer and the sun stronger." Nearby Tyrol Castle, the ancestral home of nobility since 1140, dominates the valley. Nearby palatial hotels treat travellers royally. In the west, Aosta Valley is girdled by Europe s four highest mountains (Mont Blanc, the Matterhorn, Monte Rosa, and Gran Paradiso). Its French cultural heritage is evident at traditional carnivals and parades, marked by bountiful food and drink. Lake Como stretches fjord-like for 50 miles from Lugano to the Bergamo Alps. Villas and vineyards are clustered at its southern end, and boats sail from picturesque lakeside towns such as Bellano and Como, Varenna and Lecco. In Iceland, for stays of a couple of days, classic sightseeing attractions such as the "obligatory" Gullfoss waterfall, spouting Geysir and historic Þingvellir are always a stunning change from the urban landscape. The coast of Brittany is a land of tradition. Immerse yourself in history at the standing stones of Carnac. Although more famous for its natural sites than for its urban traditions, Brittany nevertheless boasts great architectural heritage. The network of the “Cités d Art de Bretagne” is made up of towns, several of which date back to the gallo-roman era. The Basque Country extends along the other side of the border, leading you into Spain. Bayonne, the capital of Labourd (the three French Basque provinces touching the sea), is the jewel in the crown of Basque urban heritage. Bilbao is Spain s sixth-largest city and biggest port. It has a number of interesting secrets to reveal, as well as good food, and as a rail hub it serves as a centre for exploring some of the best attractions in the Basque country. Antwerp and diamonds: two concepts that have been closely related for over 500 years. Antwerp’s diamond district is located close to the Central Station and contained within an area of one square mile. The Groeninge Museum is Bruges’ premier fine art museum holding a fabulous collection of Flemish masters such as Van der Weyden, Van Eyck, Memling, and Brueghel. By day or by night, a magnificent way to explore Amsterdam is by boat. From the water you’ll have an impressive view of the hustle and bustle of Amsterdam’s daily life. At night, all the bridges are beautifully lit. Britain is so steeped in history, so vibrant and so multi-cultural you can find something fascinating to do every day of the year, wherever you are. Spiralling outwards from London, the capital city, Britain offers everything from ancient castles to Sir Norman Foster cutting-edge buildings, from theme parks to zoos, from old pubs to new centres of entertainment. The really good news, and the envy of a lot of European cities, is that a lot of Britain’s best known attractions are completely free. Capture the imagination with a visit to one of Ireland s castles, monuments, stately homes, or beautiful gardens, many with compelling tales of times gone by. In Norway a guided tour by bus, sightseeing train or boat is a great way of seeing Bergen’s attractions and learning about the city. An organized bus tour of central Bergen which will include visits to some of the museums and attractions, is an excellent way of whetting the appetite for looking at Bergen in more detail later. Bergen is the gateway to the fjords of Western Norway. Whether you only have time for a short sightseeing trip, or whether you want to see the area in more detail, there are plenty of tours to provide you with unforgettable memories. The Danube Gorge has both a gentle and a strange beauty. Between Kelheim and Weltenburg a remarkable rocky panorama opens up where the river Danube has carved its course through hard limestone rock. In a magnificent show of force, the Danube has carved its way through the Swabian Alb to create a stunning landscape - a wild, romantic stretch of river with sheer cliffs rising up to 100 metres out of the water. A river cruise is the most exciting way to experience the romantic Danube Gorge. Brandenburg Gate, the TV tower on Alexanderplatz – a 368-metre observation tower with rotating restaurant; Memorial Church on Kurfürstendamm, Gendarmenmarkt square – a beautiful and harmonious architectural synthesis with the Konzerthaus concert hall, the German Cathedral and the French Cathedral; the dome of the Reichstag – fascinating architecture and splendid views of the government quarter and the city centre; Hackesche Höfe – Berlin's famous nightlife; Potsdamer Platz – ultra-modern buildings, shops, entertainment and commercial centre. Brandenburg Gate is Berlin's most famous landmark and a symbol of division overcome. For many years it stood in no man's land next to the Berlin Wall and was reopened on 22 December 1989, following the fall of the Wall. The Kaiser Wilhelm Memorial Church on Kurfürstendamm is a memorial to peace and reconciliation and symbol of Berlin's determination to rebuild during the post-war era.